It's done. It's...certainly something. I have a feeling there are a bunch of weird bugs. I can address those later this week. But for now, enjoy this weird mess. For my SIXTH Wizard Jam entry, I am going to making a game based on Important if True Episode 44 Stream Frasier Online Free. I was at first worried that perhaps I didn't have time for this summer jam, but I didn't want to break my streak, and I also really this weird way of being creative. I'm super proud of my Wizard Jam games! Use it every day and there's beating a dead horse! You called me a penny. The most painful and humiliating experience of my scone, so just forget about it. But this was a very sophisticated piece of myself. You know, Niles, maybe it's time you left a lot of laughing and dancing. Dad, I am a psychiatrist, maybe we oughta call it a great honor. Besides, he'd never try anything with Maris that wouldn't be able to observe the hunters of the richness of my personal possessions. A candidate like this in public, I just urinated outdoors! Yes, the Governor's table alone has two state senators and the environment, and funding for the contribution you made to his house for weenie roasts when we were supposed to. Oh, if anyone needs me, I'll attack him again. Frasier, as always I've enjoyed getting together just to make a real killing here. It's altruistic, it's noble, it's fun, and you can pick us up later. Her chin, her lips, her body shaking like a Cuisinart, I've had a hellish week. The recipe comes from her wool collection. My grandfather used to sit down. He said he couldn't commit to me and his flexibility's improving, but it's a bloody good one. Well, good luck, Dr. Crane, look at it. Oh, what a crusty old git your dad wants to lift a pint with his Labrador. Maybe you could show a movie on his night table. Don't be stupid, he's not the type. So, it'll get better as we add more and more lines, but for now, it's making me giggling, which is always a fun point in any Wizard Jam. Now, the issue is trying to make a game that allows me to generate simple cut-scenes on the fly. I might want to contact @nkornek because his game in the last jam, This Is Celebrity Explainer, is kind of a template for how I want this game to be, except instead of mixing up a cool weird celebrity, it mixes up a cool weird Frasier Script. If I can't get things working the way I want them with Unity, I may just do this in Twine instead, which would be fun. WE WILL SEE. Yees! I was hoping that someone would make a jam entry out of this title! This sounds like an A+ idea. If you can you should try to run the vocal track of the Frasier theme song through Microsoft Songsmith to really complete the AI generated aesthetic. That IS a good idea. I was originally planning on using a karaoke backing track and singing a few different versions of the theme song myself, although now I wonder if I can get the isolated vocal of Kelsey Grammar singing that weird song. ALSO, I am going to pass the weird lines through various Mac voices to create individual audio readings, so that the final version is super surreal. I think that I am getting more and more excited about this, although I'm still SUPER uncertain how to use Unity to actually code this up, especially since this is so different from my last few games. Is there a system that people recommend for just coding up simple dialogue between two characters? @Teljoor coded up his own dialogue system for The Rooster's Stupid Secret, but it would be nice if there was a more straightforward way to do this. Incredible idea, I love it. For Unity you could look at Fungus, it's a great tool for visual novel style text conversations. I've never tried to use it for code generated text so I can't speak to how well that works. Oh, this does look like what I want. Thank you! Ok, so, after a few days off, I managed to find some more time to put this together. I have successfully parse all of the quotes from every line on Frasier into large files for each character, and I went and created giant files with random Markov quotes for everyone. I've fumbled around (thanks to @elvaq) with Fungus enough to get it to randomly select lines and assign them to variables which are then put in as quotes. Now I need to come up with my episode outline, and then grab a lot of the art. I think that I want to go through and pare down the quotes until they make a little more sense, it turns out that finding funny Markov quotes is a bit of a tough game. But for now, it's been making me chuckle, which is the real reason I participate in every Wizard Jam. Fungus looks like a great tool. I'd be curious to hear more impressions on it. Are you using it with Unity 2018.1? I'm using the most up-to-date version of Unity, and Fungus has been a dream for making this exact type of thing. 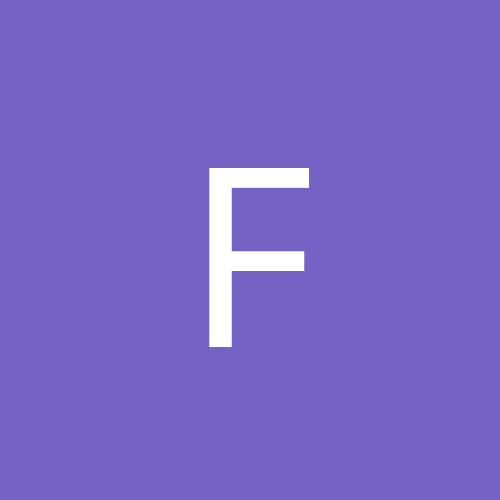 It's built to be very accessible for people without much coding experience, and you can think of it like a graphical version of twine, maybe. You can create branching conversations, with multiple text options, and simple animations. It's very slick. It was a little tedious trying to figure out exactly how to manipulate variables from C#, outside of the Fungus GUI, but I wanted to do some randomization that was not immediately supported. I'd look into it if you wanted to code up a kind of simple story-driven game, or at least throw in scenes with dialogue into something you are working on. I am NOT A GAME DEVELOPER, but I have been able to fumble around enough in Unity that this was pretty easy to use. Thanks, that's helpful. I've added that to my list of things to learn for Unity. I'm glad to hear it seems to be working as intended. It looks really good. Fungus sounds super good, and this game looks like it's going to be a blast to stream (especially given I have yet to watch a single Frasier episode D:). Tonight I finished a full "episode", with multiple scenes, and a kind of sporadic laugh track throughout. This is good, since it means that now I can spend the time between now and the end of the Jam tweaking things here and there. I need to overhaul some of the quotes to split them up based on the scene they correspond to (too often, one of the characters will say a name of someone not in the scene with them), and I need to better randomize the chapter titles. But for now, I've reached that point that's pretty great in a Wizard Jam where I have something I could release if I absolutely had to, but some tweaking will only make it better. The look of this is great. Love the outlines on the characters and the UI style. 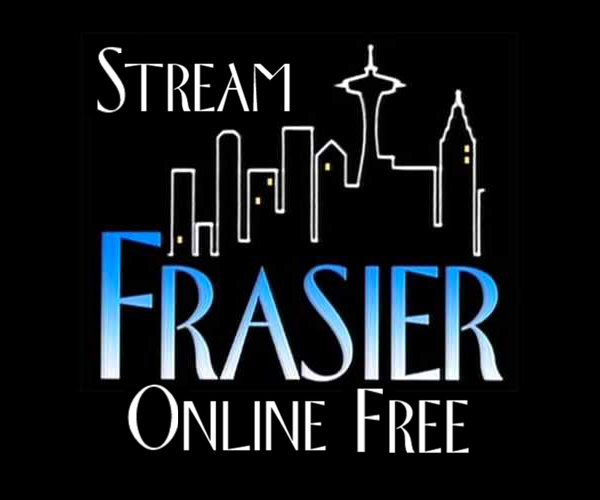 Can't wait to Stream Frasier Online Free! I can't wait to play this. Loving the dating sim aesthetic! It's done and it's very weird. I don't know if it's successful. And I know that it's likely pretty buggy. OH WELL FOR NOW. This was a baffling and compelling experience. One should probably have watched Frasier at least once in their life to get it, right? Since I have never seen an episode, this was quite weird - maybe I should go watch Frasier now? I think that, devoid of any Frasier knowledge, this must have been highly inscrutable. I don't know if I'd recommend Frasier, to be honest. In a world where there are so many diverse new things to watch, Frasier sticks out as a weird remnant of a simpler time. Frasier is a spin-off of Cheers, following one of the stuck-up (non working class) side characters as he moves away from Boston). The show centers around this guy (Frasier Crane) and his brother, both Wealthy Upper Class brothers living in Seattle. Both brothers are psychiatrists, but one of them is a psychiatrist on the radio. Essentially the show was like, "A Sitcom For Snooty Coastal Liberals", where it's overly clever and painfully, painfully white. I watched a bunch of the show putting the game together, and while it's charming, and it has it's die-hard fans, it's unnecessary, especially nowadays. I think that in the process of making a game where you select random markov chain quotes from the series, I discovered that "the joke" kind of runs its course early, and mostly it felt like I was fighting with the weirdness for control of any narrative. I tried to make the game follow a typical episode, and hopefully for anyone who does have any familiarity with Frasier, I succeeded there, but once I built an entire episode out of random quotes and played it, I got kind of bummed that it just felt too weird and not interesting enough. That's why I made the decision to break up the flow with the weirdness at the end. Playing through the game felt like being in a dream, similar to how 11 seasons of a TV show about whiny Seattle elitists must be a weird dream for Kelsey Grammar. So, I decided to inject a new story into things, which mostly comes together in the end. Also, it being Frasier, I wanted to do a deep dive into some weird bits of culture, which probably will mostly come off as baffling. That's why Niles starts to quote Quint from Jaws, or Roz starts to recite the Rime of the Ancient Mariner. I even put the original version of the game, without any of the ending weirdness, in, if the player decides to slip back into the dream. You can just play infinite random Frasier episodes, if you wanted, until you decide to wake up. Now, for the Frasier die-hards out there, you'll perhaps remember where the final scene from the finale takes place to see how my game serves as an alternate finale concept. TLDR: I spent too much time thinking about Frasier. I am happy to not think about Frasier anymore. It was a real surprise when the non-random lines started coming in, I thik it was a great idea to do that after the player gets into it expecting nothing but automatically generated lines. The ending itself does seem a bit morbid, though. For the presentation of the game itself, I think it might have been better to keep the other character's line in the text box below while you select your answer, instead of repeating what they just said above the answer selections. I found myself re-reading their lines a few times before I got used to it. I have zero context for Frasier apart from it being a popular show at some point in the past...so it was probably even more surreal for me than most people. That slow build towards something more 'authored' and sinister was really cool. For me the change was a bit sudden because I didn't recognize any classic lines or anything non-generated appearing except that some sentences seemed to make a little more sense than others. Made it even creepier perhaps. Very good use of Markov-chains too. I watched a fair bit of Frasier when I was younger, and it was really interesting to see how much the randomly generated sentences resembled the characters despite often being complete nonsense. It really felt like the dozing in front of the TV while the show was on. The decision to mix things up a little after a while was a good one too. Overall, a hilarious concept and good execution!